Welcome back to my blog! Even though winter made her presence felt unable to stop me from adding dresses to my shopping cart. Simply, even at this time of year I can find the most beautiful and exceptional models of dresses at my favorite websites. A site that offers us Cheap Clothing Online is FashionMia. Those who have been following me for a long time already know that I love this site and have introduced you to their products. Well, this time, I do not just want to tell you what categories of products I have been excited about, but to introduce some of the models I want in the wardrobe. The dress above will surely get into my wardrobe. It’s perfect for so many events as honest as I can not get over it. We’re talking about a simple but elegant dress. A dress that will turn many looks and make sure everyone feels comfortable. In addition it is made of a material that allows you to dance and breathe. Still on my wish list came the dresses above. Mostly I was delighted that it has a simple but obvious pattern. Later I was attracted to the color of the dress, I sincerely confess that for a long time I have never met this shade in dresses and it is impossible for me not to choose it. Well I do not agree with the footwear in the picture, but I will change it as I like it. Yes, and the dress up above is from cheap evening dresses category. The model is superb, it works perfectly for a wedding or baptism. Besides, I have to tell you that the glitter was the one who persuaded me to add it to the list. I know it’s probably not good for me, but I’ll take it for my girls. 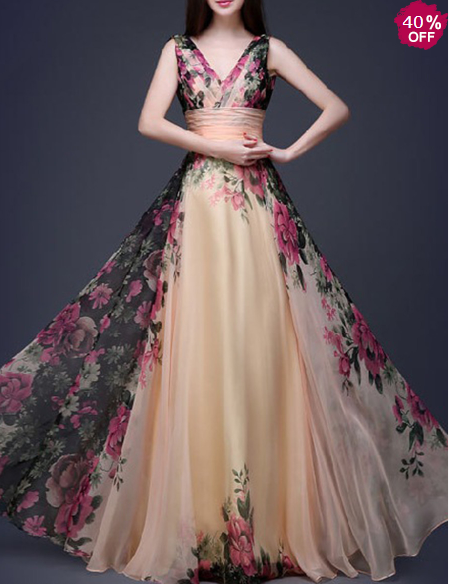 What do you think about these dresses? Which would you add to your cart?